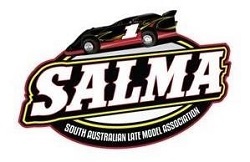 Over the past two weeks the race fans at the Murray Machining and Sheds Murray Bridge Speedway have been treated to two entertaining nights of Late Model racing with two different main event winners in the latest South Australian Late Model Association (SALMA) sanctioned events. Last Saturday night (January 5) the Timmis Speedway at Mildura hosted the most recent South Australian Late Model Association (SALMA) club event with 8 drivers fronting for action. With the meeting being staged in Victoria the small South Australian contingent was joined by a couple of Victorians along with Queenslander Brett Watson, who was competing at his first SALMA show of the 2018/19 season. After declaring that the Murray Machining and Sheds Murray Bridge Speedway wasn’t one of his favourites at his last outing at the venue Tasmanian Callum Harper put any concerns, he may have to rest last Saturday night as he won the Ultimate Pink Night Late Model A-Main in dominating fashion. Following an opening lap pile-up, the race then ran flag to flag and at the completion of 20 laps Harper established a new 20 lap track record. 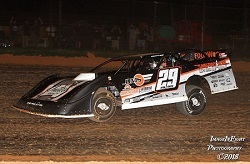 In what was a history making evening last Saturday night at the Murray Machining and Sheds Murray Bridge Speedway Robbie Farr added his name to list of winners of the South Australian Late Model Championship as he led all 20 laps of the Championship finale. 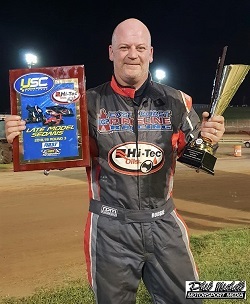 Farr joined a distinguished list of winners of the event, that also includes Supercars racer Cam Waters, as he defeated New South Wales driver Darryl Grimson and Victorian Brendan Hucker in what was an extremely impressive performance. The first major sedan show of the 2018/19 South Australian speedway season will take place this Saturday night (November 17) at the Murray Machining and Sheds Murray Bridge Speedway with the South Australian Late Model Championship. The event will double-up as part of the Ultimate Speedway Challenge therefore it has attracted a healthy car count with some of the best drivers in the country. Sunday September 16, 2018 Wahgunyah set to sizzle this season. Wahgunyah Speedway are getting themselves set for a sizzling 2018/19 season that gets underway on Boxing Day December 26th. The 2017-18 season for the NSW Late Models recently wrapped up at Sydney’s Valvoline Raceway and it was Ryan Fenech who reclaimed the NSW Club Championship, supported by United Acreage & Property Marketing, win with a consistent season performance, outpacing his arch rival Ben Nicastri. 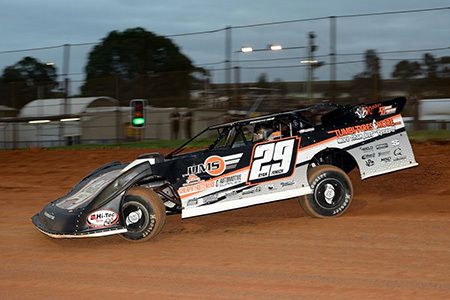 Overwhelmed was just one of the emotions Ryan Fenech was feeling last Saturday night at Sydney’s Valvoline Raceway when he scored the biggest win of his Late Model career in the NSW Title. 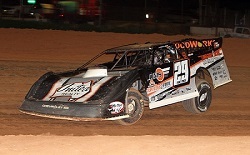 Nathan Disney’s attempt to win his 3rd New South Wales late Model Championship came up a little short finishing just off the podium in fourth last Saturday night (April 14th) but none the less the Newcastle Nightmare was still relatively satisfied with his run over the weekend. 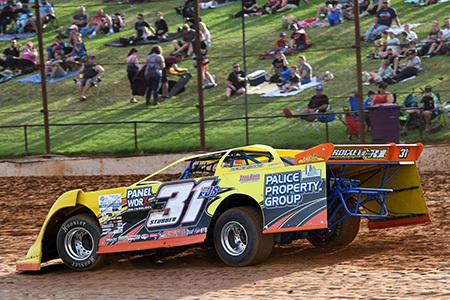 Speedway racing is a sport that often runs hard on emotion and this weekend will be no different for Novacastrian Nathan Disney as he strives to win his 3rd United Realty - Acreage & Property Marketing and Residential & Prestige NSW Late Model Championship at Valvoline Raceway this weekend (14th April). 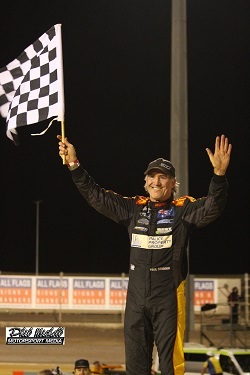 Paul Stubber was in devasting form at the Perth Motorplex last weekend as he was a clear winner of the 30 lap Western Australian Late Model Championship on Sunday night as he defeated Warren Oldfield and Ryan Halliday. 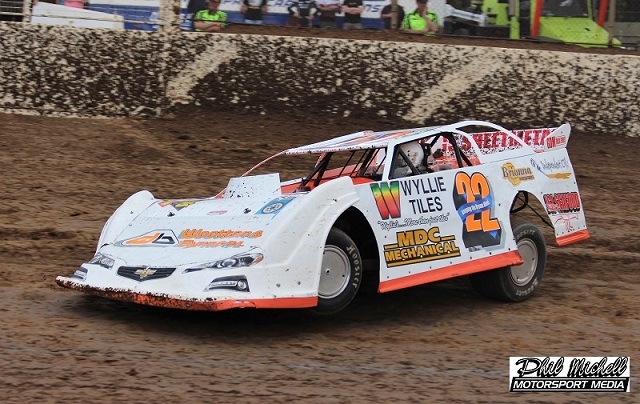 After falling one spot short of claiming the Australian Championship the week prior, Western Australian Craig Vosbergen bounced back to claim the South Australian Late Model Championship at the Murray Machining and Sheds Murray Bridge Speedway last weekend. 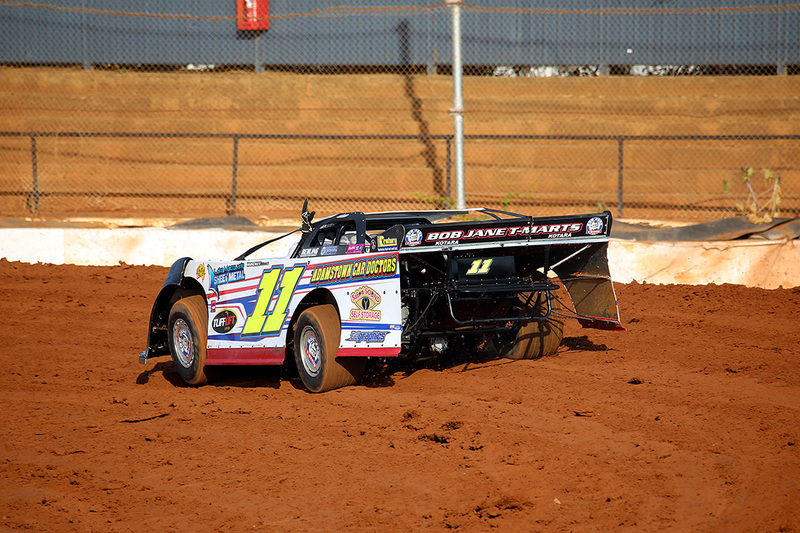 The event was staged over 2 nights with Vosbergen winning both the Preliminary A-Main on Friday Night before totally dominating the 25-lap finale on Saturday, lapping all but the runner-up and defending Champion Ben Nicastri. 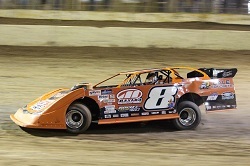 After struggling by his high standards on night 1 Queensland’s Darren Kane bounced back in stunning fashion as he drove his #36 Dominator to his second Australian Late Model Championship at the Murray Machining and Sheds Murray Bridge Speedway in a race that what was a great advertisement for the category. After starting from position 12 in the 40-lap decider Kane pounced on race leader Craig Vosbergen after a late race caution and from that point he wasn’t headed going on to win one of the best sedan feature races ever seen at Murray Bridge. Western Australian Craig Vosbergen and New South Welshman Ryan Fenech were the winners of the twin 20 lap Preliminary feature events at the 2018 Autopro Australian Late Model Championship at the Murray Machining and Sheds Murray Bridge Speedway but it was local Ryan Alexander who ended the night on top of the point chart. After leading the second final in the early stages Alexander would eventually finish third but this result was enough to hang on to the top spot leading into night two. This Friday and Saturday night (February 2 & 3) over 40 of the best Late Model sedan drivers from across Australia will be joined by a pair of Americans and a young New Zealander as they contest the 2018 AUTOPRO Australian Late Model Title the Murray Machining and Sheds Murray Bridge Speedway. As the 2018 Autopro Australian Late Model Title approaches the official nomination list has been released with a total of 46 drivers from six Australian states, the United States of America and New Zealand set to compete at the Murray Machining and Sheds Murray Bridge Speedway between February 1 and 3, 2018.